Welcome to the repository website of the IDS Mannheim CLARIN Centre. The mission of CLARIN is to provide as wide access as possible to language research tools and materials around Europe. To achieve this goal, we set out some ground rules through this Terms of Service. By accessing or using any kind of data or services provided by the IDS Repository, you agree to abide by the Terms contained in the above mentioned document. With the Depositor Agreement the depositor agrees to make new CLARIN Material available through the CLARIN Infrastructure, and defines access conditions. 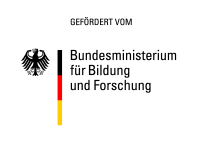 The IDS Respository Depositing Policy (in German) details the specific policies for depositing corpora of spoken language, written language, and other resources of the German language. Access conditions can be modified at all times by means of the Upgrade Agreement. Data access is available for the research user under the terms of the Data User Agreement. Licensing and other terms between User and Content Provider and/or CLARIN will be agreed separately. Data Users must acknowledge and cite data sources properly in all publications and outputs.